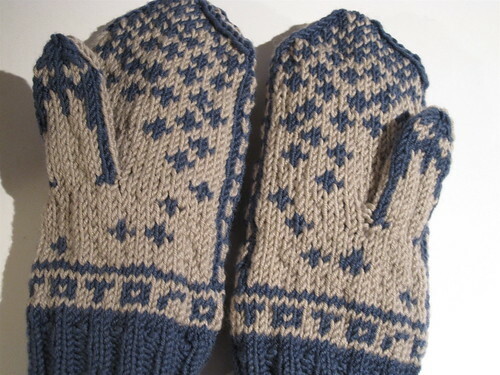 An unsuspecting friend will be receiving these mittens as a surprise. 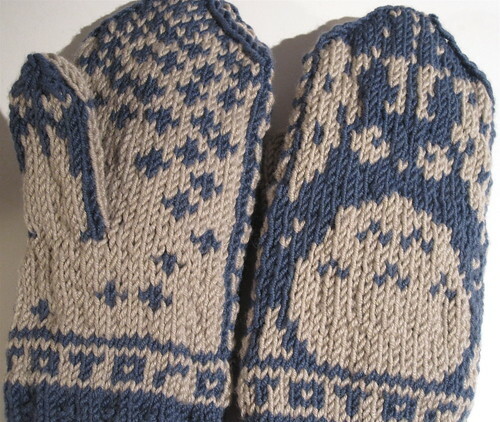 They are Totoro mitts, made from this great Ravelry pattern. It took me ten days of non-intensive knitting to finish them. I used Sublime Yarns Cashmere Merino Silk DK so they feel very nice on the hands. I like how the pattern includes Totoro and his umbrella as well as the dust sprites and mini-Totoros. I'm a big fan of your travel writing and photography, as you know. I'm also quite interested in archeology, and in another life I might have entered the field. I don't have much interest in knitting however. That being said, these mittens are fantastic! 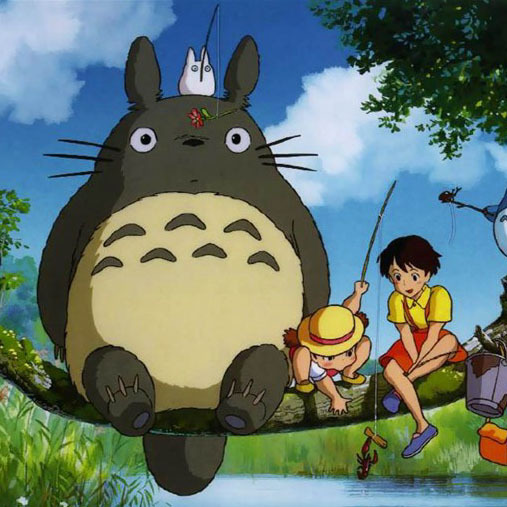 I love My Neighbor Totoro, nearly as much as Kiki's Delivery Service. Miyazaki's early work has a sweet innocence that I can't resist - plus beautiful animation, of course. 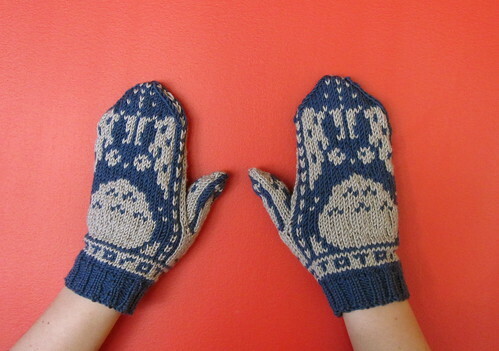 I hope the recipient of these mittens appreciates them. wow, the mittens looks great! You did an awesome job. As I said, I'm not big on knitting, but I ended up joining Ravelry and downloading the pattern, in the hope that my wife will make them. She said she'll give it a shot, but I may have to wait for next winter. I'm excited! Nice work, they look cool.